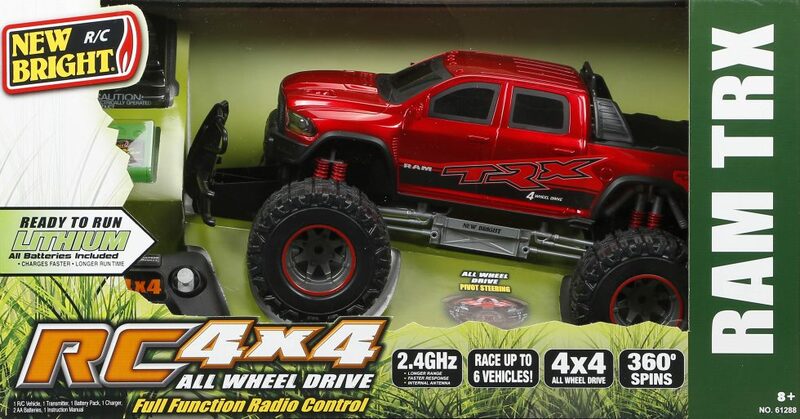 R/C 4X4 Ram TRX | New Bright Industrial Co.
With detailed accessories and a rugged exterior, the 1:12 Jeep Wrangler and RAM TRX can take a beating. 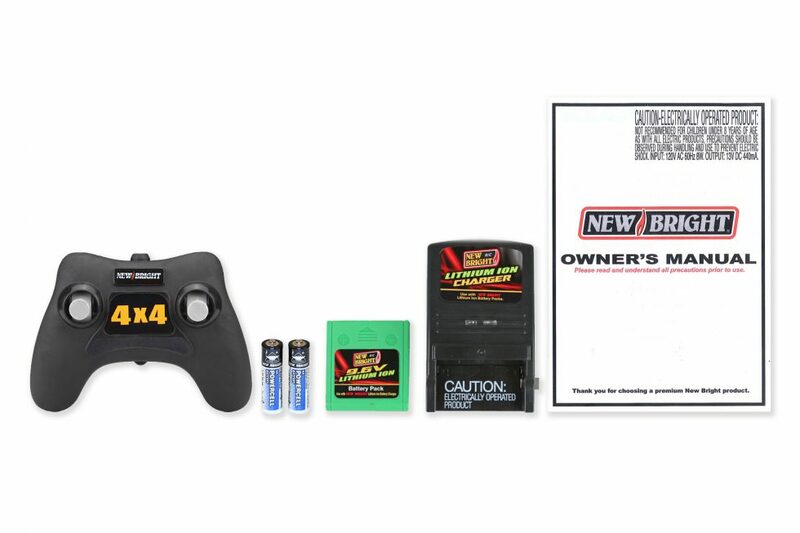 Features 2.4GHz technology for extended range and less interference. On or off-road, the 9.6 volt Lithium battery and 4×4 all-wheel drive can power through any terrain. 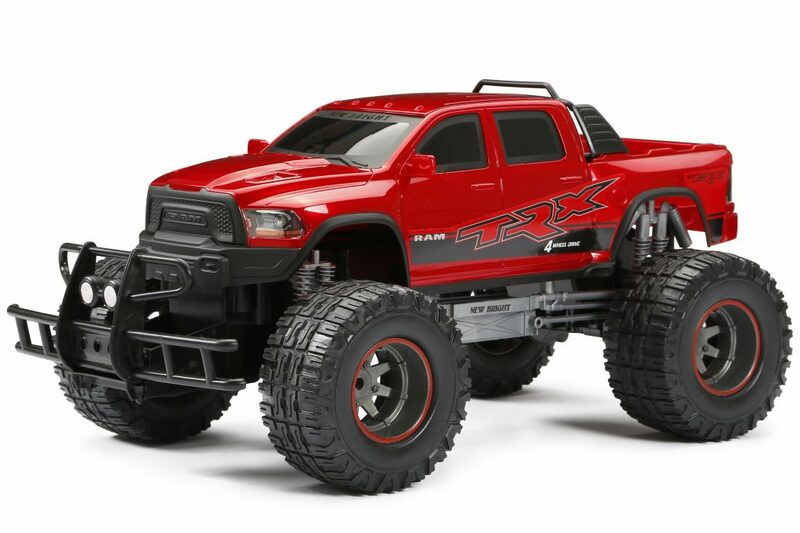 Your friends are sure to feel the brute force behind this fully functional R/C.